The gang at Blue Sky Studios really knows how to ring in the New Year. Their animated film Bunny scored three top prizes at IMAGINA Du Futur in January, including the Grand Prix IMAGINA. Bunny showcases the warm, photo-realistic style that Blue Sky achieves using “radiosity”, their computer rendering technique that mimics the most subtle properties of natural light. CGI Studio, their proprietary lighting software, and radiosity work in conjunction with SOFTIMAGE|3D to give Bunny its unique film-noir style. 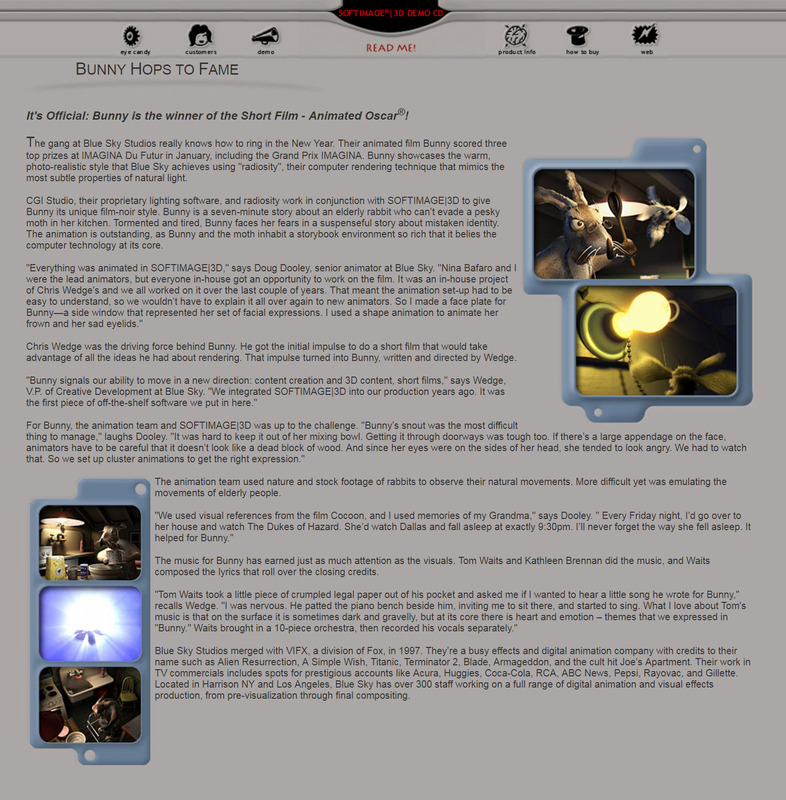 “Everything was animated in SOFTIMAGE|3D,” says Doug Dooley, senior animator at Blue Sky. This entry was posted in Friday Flashback and tagged Blue Sky Studios, rendering, SOFTIMAGE|3D by xsisupport. Bookmark the permalink.